Today we return to BioSTL's Vision 2018, St. Louis' annual conference aimed at building a wholly-inclusive, diverse innovation community. VISION is for anyone wanting to learn more information about the many small business and entrepreneurship opportunities in the STEM (science, technology, engineering and math) fields. 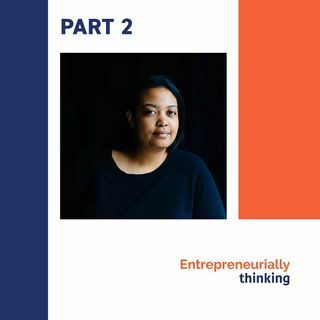 This is part 2 with keynote speaker and special guest Arlan Hamilton, Founder of Backstage Capital in a candid conversation with host Dr. Cheryl Watkins-Moore.